See the sample description below. Read the full research from Startup Heatmap Europe. 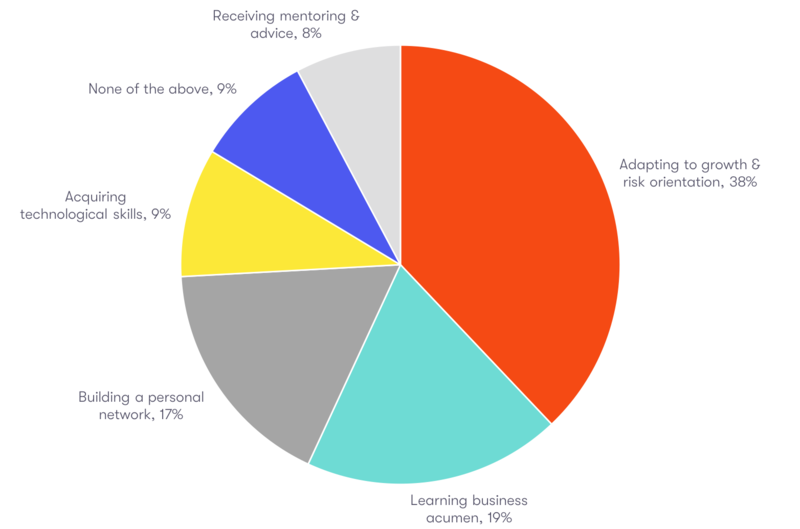 In addition to the questions Startup Heatmap has been tracking with European founders for years (the latest released in October 2018 in ‘The Rise of the Interconnected Startup’) we asked specific questions of these startup founders about their experience of the Valley. 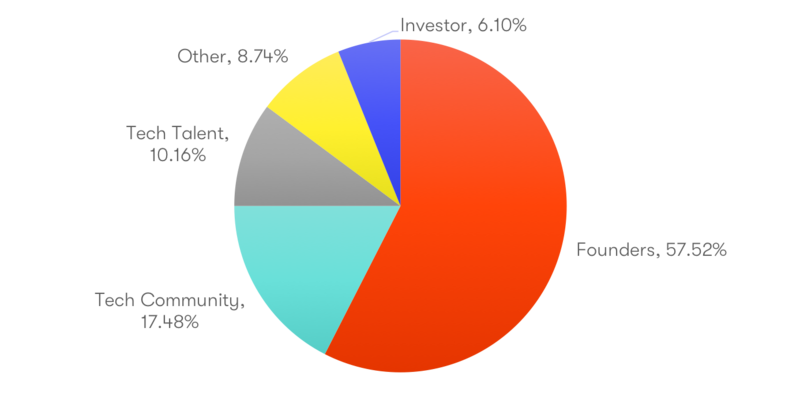 The goal of this research was to uncover how many European founders had experience of living and working in the US. Why did they return home? More than half of them returned ‘for personal reasons,’ (family reasons, or returning to home country) with 68% indicating they were returning to settle back in their home country. 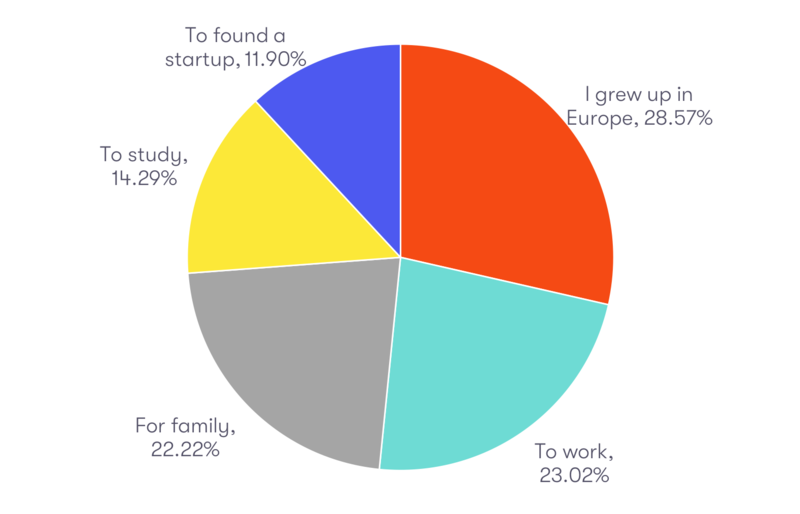 Even though it is not possible to say how many European founders have returned to Europe vs. those who left, we can see, from this survey selection, that emigrating to the US is not a one-way journey. Of the founders surveyed, 81% rate the future potential of their current hub “very” or “extremely” positive, and anticipate major investments and/or startup success in their immediate future. Of all the European technology hubs, the most positive founders (87%) were based in Western Europe (Germany, France, Austria and Switzerland) and Benelux (89%). Western Europe and Benelux were called out for praise in the survey by founders, especially for the industry connections they offer startups. The UK and Ireland. But while the UK and Ireland had the least preference for their home countries over the United States (just less than half of founders in the UK and Ireland prefer Europe over the United States), they nonetheless have a close to 80% positive outlook for Europe as a whole. When startup founders were asked if they could freely choose today between the United States and Europe, 64% of founders overall would prefer Europe as their startup location, should they have the choice to do it over again. These numbers can, for the first time, be confirmed for Europe as a whole and suggest an increasing appeal of the continent for founders everywhere. In contrast, US popularity dropped from 32% to 15% when Trump took office and recovered slightly to 21% in 2018. Overall founders show a 36% preference for the US whereas German founders prefer the US only by 27%. The regional breakdown shows that only the UK and Irish founders predominantly prefer the US over Europe. 64% of European founders prefer Europe over the US; only the UK and Ireland predominantly prefer the US over Europe. 61% of German founders prefer founding their startup in Germany over the US. 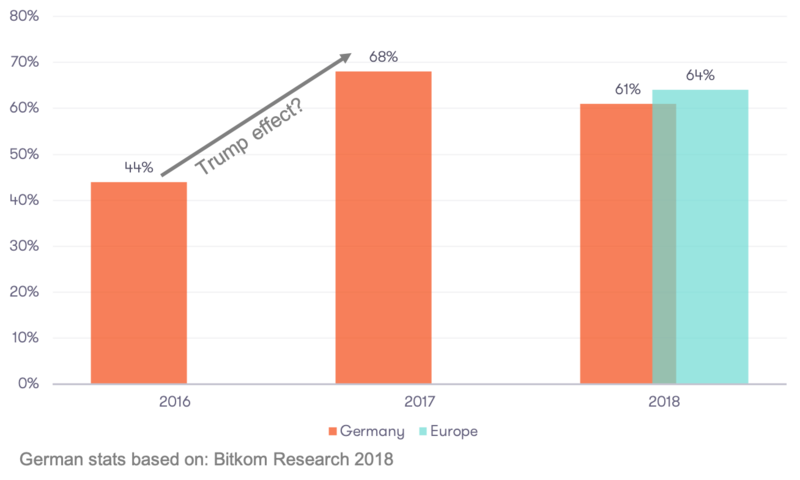 Source: Bitkom Research, 2018; 64% in 2018 express a preference for Europe. Source: Startup Heatmap research. 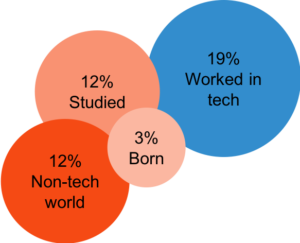 19% of all the European founders surveyed worked ‘at some point’ in their career in technology companies in the United States, and then returned to Europe to start a company, bringing with them their unique US experience. Further, 19% of the all those surveyed in the investor community and founder community have some experience of the United States; and 14% of all tech has some level of experience from the United States. Now, as members of the European technology ecosystem, they are having a significant impact on the European technology community. They bring with them not only experience and connections, but also a ‘mindset’ that is uniquely born in the Valley: business savviness, an adaptive attitude to growth, and less fear of risk. When asked what were the most compelling skills they brought back with them from their time working in tech in the United States, they overwhelmingly pointed to three things: adapting to growth, and less fear of risk, as well as business savviness. The survey asked about the biggest assets Europe offers startups, including talent availability, value for money, startup ecosystem, industry, market access, personal growth, business and funding. European founders largely pointed to the availability of talent as the biggest asset in Europe. European founders point to the availability of talent as the biggest asset in Europe. The United States is an important market for European technology companies. In our review of the top 100 startups in Europe, 54% have offices in North America. European founders maintain close ties to maintain business contacts, investigate trends, and capitalise on market potential. 60% of those surveyed have travelled to the United States at least once on business related to their startup, with 19% doing at least twice a year. Indeed, looking at the right time to embrace the huge potential of the US market is a critical decision point for European startups. We cover this topic extensively in this series of essays in Build with Balderton. Part 1: When should your fast-growth European startup expand into international markets? Part 2: Where should your fast-growth European startup expand internationally? Part 3: European and US venture-backed — internationalisation by the numbers. Part 4: Internationalisation — how to budget. You can find the full deck of research on the Startup Heatmap Europe site. The survey included 985 respondents - 541 of them (57.52%) were startup founders; it was a regionally representative sample, with participants from all European countries.